Tryptophan stimulates serotonin production, which is a hormone naturally produced by the body, that reduces stress. 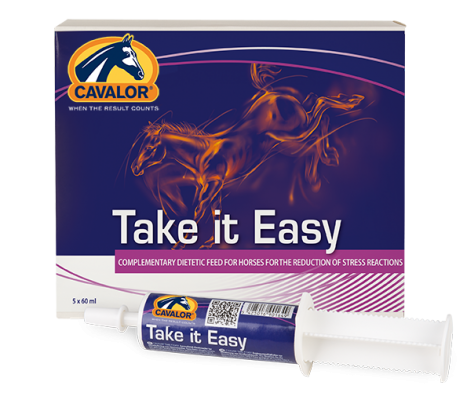 For optimum effect, Cavalor Take It Easy syringes are safe to combine with Cavalor SoZen, as they work differently. Give 1/3rd a syringe the night before the stressful event, 1/3rd a syringe in the morning & 1/3rd a syringe one hour before the stressful event.